Spotify announces Android Wear app | What Hi-Fi? 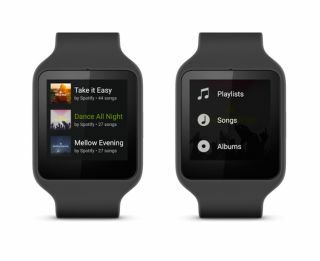 Spotify is launching a dedicated app for smartwatches with Google's Android Wear operating system. The app will roll out during June and allow users to navigate through their favourite tunes and playlists on smartwatches such as the Moto 360 and LG G Watch R. It will also enable you to browse for new tracks through Spotify, all without having to touch your smartphone. It's interesting to see a Google Wear app launch ahead of one for the Apple Watch. With the news coming just days before Apple is scheduled to launch its own music streaming service, could we consider it a bit of snub?